Since 1997 I have been working in a studio partnership with my colleague Bernhard Raftl. 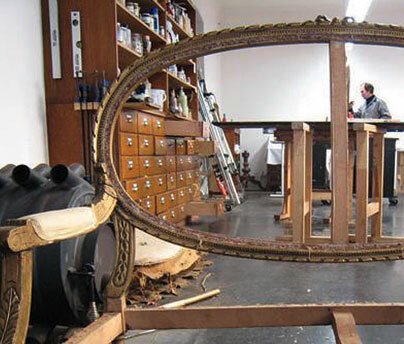 In July 2006 we moved to Vienna’s 16th district where we found the ideal location for our restoration work shop. A former corner shop, our studio now covers 180sqm of day lit space which provides sufficient room for storage and stock, several workrooms and a street level entrance.